The perfect gift. 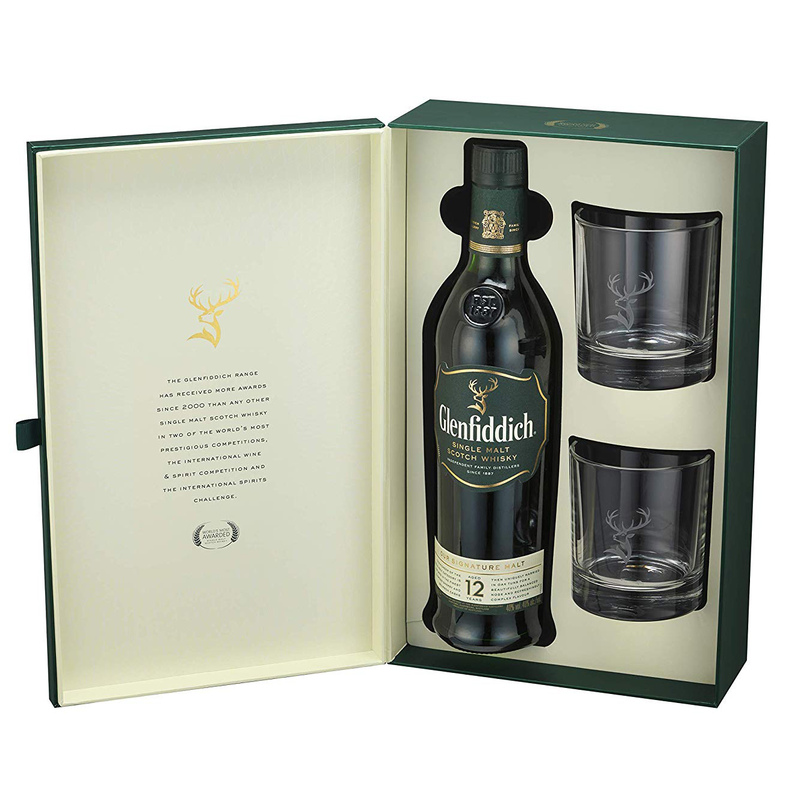 Glenfiddich 12 Year Old Single Malt Scotch Whisky Glass Gift Pack 70cl. The Glenfiddich 12 Year Old bears all the hallmarks of our Speyside signature style, one that has made us one of the world's most awarded single malts. Pioneering the single malt category, the whisky is matured in the finest Oloroso sherry and bourbon casks for at least 12 years before being uniquely married in oak tuns for up to nine months to develop exceptional harmony and complexity of flavour. 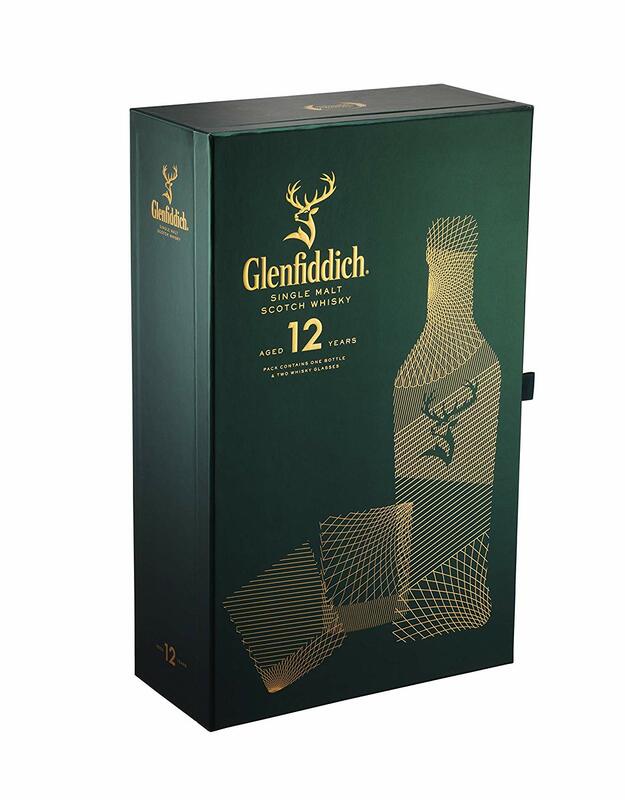 Glenfiddich has something very unique. It is a true family whisky, the founder, William Grant, who saw the very first pure spirit flow in 1887, leading the way. Many of those traditions we still hold on to today such as insisting on using the same highland spring water and sculpting our copper stills to be exact replicas of those of our predecessors. The level of care a family gives, along with skill, drive and dedication, have been passed down to today's generation. That's five generations and over 130 years' worth of whisky wisdom in every dram. The malt masters have that rare ability to smell, taste and smooth out fluctuations in flavour that naturally occur in maturing whiskies. 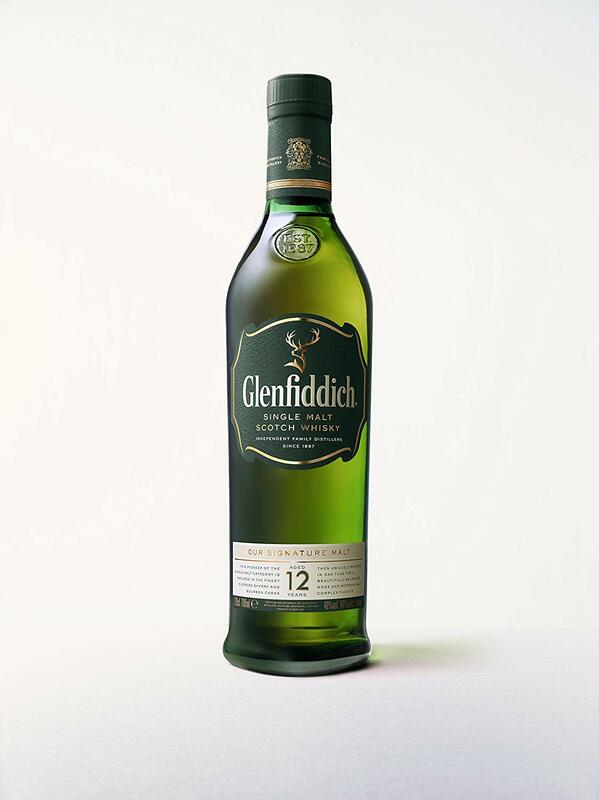 Nurturing our Single Malt Scotch to the perfect balance of flavours, a Glenfiddich is a wise choice for those who value premium quality whisky.